This book takes you on a journey to the very core of your being. 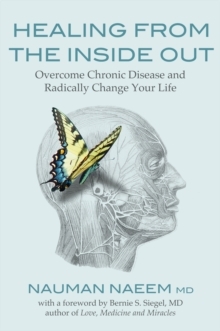 This is done through unravelling layers and layers of density that most of us accumulate throughout our lives, and which often initiate and perpetuate chronic disease. Once you touch the light of your being, you illuminate the dark recesses of your thoughts, emotions and your physical body, thus facilitating the healing of any chronic illness. The exercises given in this book allow you to gain more clarity about your life's mission, heal old emotional wounds, lift subconscious blocks, remove limiting beliefs, enter the natural flow of the Universe and fearlessly embrace uncertainty. Dr. Naeem is a critical care specialist, pulmonologist and palliative care specialist, whose unique insights into healing stem from caring for tens of thousands of critically and chronically ill patients for more than a decade in two countries. This experience, combined with his own search for the meaning of existence and the true nature of ultimate reality, has culminated into the incredible journey which is the subject of this book.